The Gala, appropriately called “Celebrating Michael,” will be chaired by Chaz Ebert, Candice Jordan and Maria Pappas, and will take place Loews Chicago. The event will feature film luminaries and guests to honor Michael’s passion for cinema and his dedication to fostering the appreciation of film for an entire career. 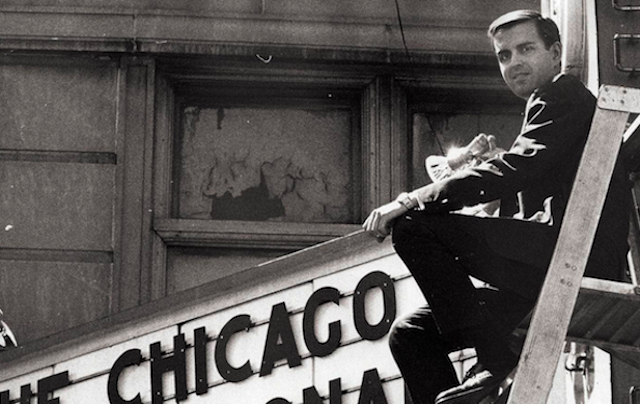 Michael Kutza was 22 years old in 1964, when he founded the Chicago International Film Festival, with former silent film star and Chicagoan Colleen Moore. He was Artistic Director until 2017, and held that title longer than any other festival Artistic Director. As part of the event, Michael will receive a Lifetime Achievement Award. During his 55 years in film, Michael supported the early careers of many cinema titans, including Martin Scorsese, Rainer Werner Fassbinder, Claude LeLouch, Wim Wenders, Margarethe von Trotta, Mike Leigh, Oliver Stone, John Carpenter, Joe Swanberg and Taylor Hackford. Over the years, some of the top tier “who’s who” of the film industry have attended the Chicago International Film Festival and related events, including Harold Lloyd, Bette Davis, Orson Welles, Francois Truffaut, Jack Lemmon, Vincente Minnelli, Sophia Loren, Jack Nicholson, Shirley MacLaine, Spike Lee, Steven Spielberg, Tom Hanks, Clint Eastwood, Liv Ullmann, Jodie Foster, Al Pacino, Sidney Poitier, Helen Mirren, Jane Fonda, Chadwick Boseman, and many more. Michael Kutza has received recognition from his peers in film and arts, including the Chevalier de l’Ordre des Arts et des Lettres at the Cannes Film Festival, the Silver Lion Award from the Venice International Film Festival, the Sydney Pollack Award from American Cinematheque, a Knight of the Legion of Honor from France, and the “Onorificenza di Cavalierato,” the highest arts award in Italy. Cinema/Chicago, the presenting organization of the Chicago International Film Festival, is a year-round not-for-profit arts and education organization dedicated to fostering better communication between people of diverse cultures through the art of film and the moving image. Through the Film Festival, its Education Program, year-round programming and membership program, Cinema/Chicago enhances the cultural assets of the city of Chicago by exhibiting film from around the world. Cinema/Chicago presents “Celebrating Michael” at the Chicago International Film Festival Summer Gala on July 14th, 2018, at Loews Chicago, 455 North Park Drive, Chicago. For more information, click here.